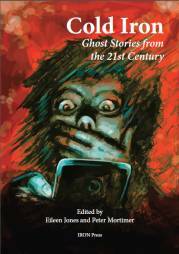 A collection of seventeen ghost tales, whittled down from a total of almost 200 submitted from writers both established and unknown, bring a selection both paying homage to the tradition of the ghost story and placing it firmly in the context of our own times. Thus, ghosts appear on football terraces, from cancer wards, on the floor of TV shows, on the late night service bus, over a Sunday dinner and at a supermarket checkout. These terrifying tales pay homage to the traditions of the genre, but tackle peculiarly 21st Century topics.